Check out Amazon.com Toys Outlet where you can start shopping for next Christmas or stock up on birthday presents at great prices. 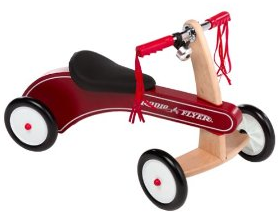 For instance, this Radio Flyer Classic Tiny Trike is only $44 down from $101.99. There are over 700 toys and games at great prices.